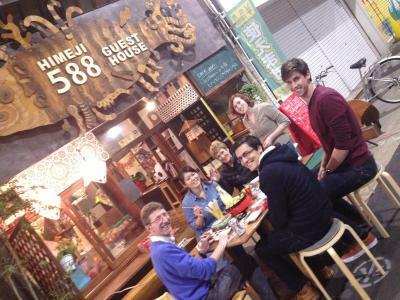 Lock in a great price for Himeji 588 Guest House – rated 8.3 by recent guests! Highly enjoyed my stay here. Hostel is relatively small but very homely and feels very welcoming which makes it easy to get along with the staff and other travelers staying there. Staff were also nice in helping me with my Japanese speaking. Clean and tidy. Close to the station and shops are dotted all around the hostel. And barely any distance at all from Himeji castle. Location was fabulous. No other hotels were close by. It was easy to find and staff were great and owner was english. The bed was so warm and cozy and the old house had a feeling to it. Location was great and staff was able to recommend eating places nearby. Very friendly and helpful staff who were fun to hang out with. Close walking distance to the castle, many shops and restaurants nearby. I recommend selecting a top-level bunk by the heating unit if you want to stay nice and toasty warm at night. Excellent location close to the castle and some really nice restaurants and bars. Lovely staff! We stayed in the private room but we snuck a look into the dorms and it looks really cool! The property is located close to the castle and close to the train station. There are plenty places to shop in. The staff were very friendly and helpful and even let us know to drop bags off before check-in. Thanks you for this! I carry 18kg on my back, on my travels. The room HaD a good shower and was very clean and kettle to make tea. An amazing location! So close to Himeji Castle,station,great okonomiyaki,and yakitori! Dorm was cozy and facility was clean.lovely place to visit! Perfect location. Easy access to everywhere. The guest house itself is not so big, but each bed is spacious so it was okay. Night picnic to the castle was amazingly impressive. Must try. Himeji 588 Guest House This rating is a reflection of how the property compares to the industry standard when it comes to price, facilities and services available. It's based on a self-evaluation by the property. Use this rating to help choose your stay! Located on a lively traditional shopping arcade, Himeji 588 Guest House features affordable Japanese-style accommodations. Free WiFi is available and guests can watch DVDs on the flat-screen TV in the shared lounge. JR Himeji Train Station is a 10-minute walk away. Guest House Himeji 588 is a 5-minute walk from Himeji Castle and Koko-en Garden. Shoshazan Engyo-ji Temple is a 15-minute drive away. Guests can choose to stay in dormitory-style rooms or private rooms. Private rooms feature tatami (woven-straw) flooring and Japanese futon bedding. Dormitory rooms are fitted with bunk beds. Bathrooms and toilets are shared for all rooms. Toiletries are offered for free and towels are available at an extra charge. Free coffee and tea are offered at 588 Himeji's shared lounge. A coin-launderette and luggage storage are available. 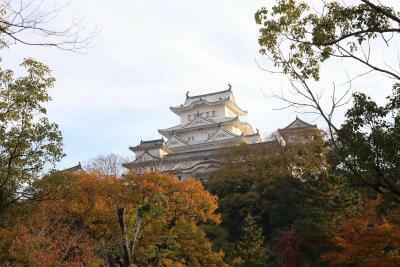 This property also has one of the top-rated locations in Himeji! Guests are happier about it compared to other properties in the area. This property is also rated for the best value in Himeji! Guests are getting more for their money when compared to other properties in this city. 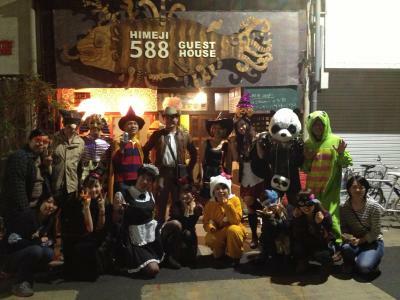 When would you like to stay at Himeji 588 Guest House? This private room features tatami (woven-straw) flooring and Japanese futon bedding. Bathrooms and toilets are shared. This double room has air conditioning and features one semi-double sized futon mat. House Rules Himeji 588 Guest House takes special requests – add in the next step! A deposit may be required for reservations where guests are staying multiple consecutive nights. The property will contact guests after booking. Guests must make the payment within the instructed date or guest reservations may be canceled. When booking for either 2 consecutive nights/4 people or more, different policies and additional supplements may apply. The property will contact you for payment instructions after the booking is made. Please be advised that the property is closed from 10:00 until 16:00 daily for cleaning. Reception is open between the following hours: 08:00-10:00, 16:00-22:00. Late check-in after 22:00 could be arranged, only upon the property's confirmation. Additional fees apply. Please note, the common lounge is available until 23:00. The shared shower rooms and lavatory were downstairs (very steep stairs) and quite cramped. We stayed when it wasn’t very full, but I can imagine with more guests it would have been quite noisy. Very friendly welcome, and very helpful. 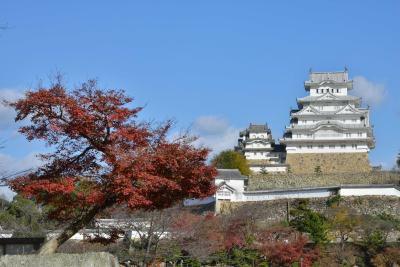 The location is brilliant, really near Himeji Castle. We stayed in the only private room, which slept two, and the futons were comfortable. The bed curtains should cover the bed more thoroughly so that it's possible to change clothes in privacy, which is usually the norm in Japan. The bed in the women's dormitory was well built. The location is great and the host was kind enough to give me tickets to the hanami event in Osaka as I lived close to there. It was quite clean, though I didn't use the shower. The staff is very nice and the location is really near by the Himeji Castle and The Art Museum . The kitchen facilities were minimal. The wifi did not work - had to go outside to get the city wifi. Additionally, you cannot stay in the hostel during the majority of the day as they close till 4pm. The lounge also closes at 11pm meaning you can't stay down there either. It's location is perfect. A short walk from the station and an even shorter walk to Himeji Castle. And within a shopping street. The dormitory room itself was rather unique and quite cool. It's an old Japanese house retrofitted to host a hostel. You need to pay extra to use ofuro (Japanese-style bath). 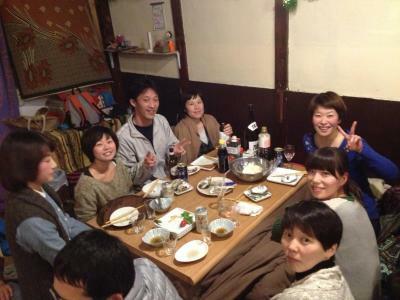 The kotatsu is in the same space as the bar where they prepare food so some people may find the smell bothersome. I visited Himeji in November and the hostel was pretty empty so they let me choose my bed. There is a kotatsu in the common space next to the reception. It's super cosy and you can feel like you were staying at a Japanese house. The staff are very friendly and happy to give some tips about the attractions in the town. There is a small library with books in foreign languages as well. I liked all the space and the staff were so friendly and helpful! The location was so good as it was close to the castle and lots of shops. You cant be at the hostel between 10am-16pm because its closed, a little bit diffrent. Friendly staff, who gave good information about Himeji! Really good location, close to everything. A lot off good food-options. everything. Clean facilities, comfortable environment and unbelievable value for money. The best place I have stayed in Japan so far. And apart from that the Staff are amazing!!! They walk you around the hostel when you first arrive and explain everything and are always downstairs ready to look after you if you need anything. Free tea & coffee and games downstairs. Such an awesome hostel and so cute! And you can literally couldn’t be closer to Himeji castle. 5 min walk away. Amazing atmosphere, felt like a cosy home. Very good price, excellent location. The GH is closed each day between 10 and 16 o'clock. This is pretty long I think..
Super nice location, almost next to the castle! Staff was nice and spoke good English. Its really near the himeji castle and the staff were really nice. Its a good place to meet fellow travellers as well.